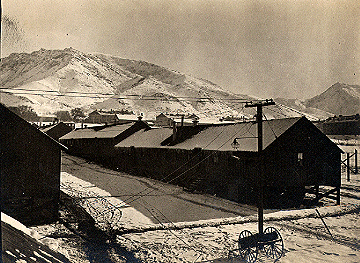 There were several prisons to which most C.O.s were sent after they had been court-martialed: Fort Leavenworth in Kansas; Fort Jay in New York; Alcatraz in California; and Fort Douglas in Utah. These were military prisons(??) and/or prisons used primarily(??) for political prisoners. Each had its own particular rules for how the prisoners must behave. Noncompliance meant solitary confinement on a bread and water diet for two weeks in a row. The solitary cells could be as many as 30 feet below ground, and were cold and damp. The men were left with perhaps one blanket, and without any clothes but their undergarments. An untitled article in The Survey on May 31, 1919 reported: “There are three military prisons in the United States. These are at Ft. Leavenworth, Kansas, Governor’s Island, N.Y, and Alcatraz Island, Sand Francisco Bay. Five years ago the name military prisons was dropped and disciplinary barracks was substituted, for the purpose of emphasizing the reformative rather than the penal character of the institutions…. It is true that prisoners are placed in solitary confinement on bread and water, for fourteen consecutive days and nights, and that this is a regular and prescribed form of punishment. It is true that prisoners are frequently kept in these cells for second periods of fourteen days and nights, in addition to the first periods and following them without interruption. During such periods they are fed the regular diet. It is true that third periods of confinement sometimes follow the second, during which prisoners are put back on bread and water. It is true that three prisoners, whose experiences I verified, were within recent months confined in these cells for more than eight weeks continuously, and that one of them was so confined for ten weeks. That there are other instances I have no doubt. It is true that these solitary cells, twenty in number, are closed cells, that is, they are equipped with heavy wooden doors that are shut the moment a prisoner enters. These doors are kept shut, day and night, throughout his confinement except at meal-times and daily count. The prisoner may not come out for exercise or for any other purpose except to take a bath, once a week. Light enters through two small screened transoms at the top and bottom of these doors. This light is sufficient, during the day, to enable the prisoner to distinguish the outlines of the bricks in his wall four feet opposite. It is not sufficient to read by, and would do him no good if it were, since he is not permitted to have reading matter in his cell. The cell is four feet six inches wide, nine feet two inches long, and between eleven and twelve feet high. A small ventilator hole in the rear wall, near the ceiling, provides air that is usually fairly good, though occasionally it becomes stale and of bad odor. On one of my visits to these cells I counted seven, out of sixteen that were occupied in which the inmates had kicked out the lower screens in order to get a freer passage of air. Each cell is provided with running water, a stationary wash-bowl and toilet. For bed, the prisoner has only a large board and several blankets…. Probably the best known case among religious objectors was that of the Hutterites and their treatment at Alcatraz prison: “Jacob Wipf and the three Hofer brothers were members of the Huttrian sect. Staunch to their religious convictions, they protested against the forced use of their bodies in war. They were remanded by the authorities to the Alcatraz prison. This prison, built on a rock island of twelve acres, contains a typical Spanish dungeon, or 'Hole' as it is called in the vernacular of the prisoners… Upon refusing to work, they were sentenced to confinement in the 'Hole,' and they descended to this terror cell to suffer for five days under the most inconceivable conditions. The dungeon- a hideous reminder of past ignorance and cruelty- is located thirty feet below the base of the prison building and just at the level of the sea. The thick stone walls, standing through long years, have become saturated with moisture and water continually worked through the crumbling mortar joints and trickled on to the floor….The four Huttrians were handcuffed by the wrists to an iron bar whose level barely allowed their feet to touch the floor. Guards stripped them of their civilian clothing down to underwear. Blankets or covering of any kind were refused them and they lived in shivering fear of the cold and damp of the cell. Beside them on the floor were laid soldier uniforms. The tenets of their church forbade the wearing of military garb. The sneering guards, miscalculating the determination of these prisoners, swore that soon they would be dressed up as 'regular soldiers.' Wipf’s eyes shone triumphantly as he told me this incident. 'But,' he said, 'we had decided, To wear the uniform was not what God would have wanted us to do. It was a question of doing our religious duty, not one of living or dying'; then quietly: 'and we never wore the uniform.' For a full thirty-six hours, these quiet heroes remained 'strung up' as it is called. Not a bite of food of any sort was furnished them and but one glass of water. They suffered, chilled to the bone, nearly naked, hungering and thirsting- and with pain and fatigue torturing their every nerve. To add to their torments, guards came to them during this 36 hour period and beat them brutally with clubs. Yet never once did they think of accepting the easy way out by succumbing to the military will. Finally, the inhumanity- as well as the futility- of such treatment was apparent even to the authorities and they released the Huttrians who were, by this time, in wretched condition. For the rest of the five day period, they were exempt from this 'hanging up' but the other features of the punishment remained in force. They were without clothing. The cell was damp and musty. They were allowed but a single glass of water each 24 hours and not a morsel of food for the full five days. The dungeon contained no bed and their rest was taken on the water-soaked floor. Washing and toilet facilities were entirely lacking and thus they were forced to live there close to the filth of their own excrement. Frequently the sentries came in to manhandle their victims… At last the authorities, fearing the consequences of their action, released Wipf and the Hofers from this ordeal. They emerged from the dungeon, broken in health, and barely managing to walk. Upon reaching the light and fresh air of the upper prison, they were found to have contracted scurvy. Their skin was covered with unsightly eruptions…. The immediate sequeal, however, is as hideous as the actual story. Shortly after their ordeal in the underground cell, the Huttrians were transferred to another military prison where most of the C.O.’s are at present in confinement. The change was from a temperate climate to one more rigorous and this was accentuated because the season was that of early winter. With their advent to the DISCIPLINE of this other prison, the Huttrians found similar difficulties awaiting them. They again refused to submit to military duties, and as in their former place of imprisonment, they were sentenced to confinement in 'Solitary.' Conditions here were infinitely more favorable in respect to sanitation and the like. Still they were placed on a bread and water diet for fourteen days; 'strung up' to the bars of their cell; and forced to sleep on the floor. The consequences of such 'disciplinary' treatment following so closely upon their former ordeal and combined with the sudden change from warm to cold weather is easily pictured. Cold draughts that swept across them as they slept on the floor soon took fatal effect on their weakened lungs. Within ten days two of them-two of the brothers-lay dead in the hospital' (“The Case of Jacob Wipf and the Three Hofer Brothers, Religious Objectors to War, Two of Whom Died from the Effects of Military Atrocities in American Prisons,” December 1918). In 1919 most of the C.O.s were sent to Fort Douglas. Many of them enjoyed the reunion with friends, and at first they had an enjoyable time at this institution (as much as they could, being prisoners still.) But then prison officials began to clamp down on them once again, trying to break their convictions about working for the military, etc. Some gave in as they were promised release if they would. Others held out until 1920. See especially the letters of David Eichel during this period. In late 1918 and 1919 there was a concerted effort to bring C.O.s who refused to cooperate with the military to trial, from which they were sentenced – for the most part -- to the military prison at the Fort Leavenworth United States Disciplinary Barracks. An unknown writer told about this process: “Among the questions asked [during a courts-martial trial] were the following: 1. If you had been in Belgium at the time of the invasion, would you have resisted? 2. If you were in a position where the use of a gun would be the only way to prevent a brute attacking a woman, would you shoot? 3. How long have you held these views,- do you think you can be regarded as an objector if you did not hold them for a considerable period before the war. 4. If you are opposed to conscription, do you believe in paying taxes? How do you reconcile the two? To one man who was a dentist, and who said that he would be willing to serve soldiers in private practice, but would not do dental work in the army, Judge Mack said he could see no moral distinction at all, and ordered the man into non-combatant service. To a man who had been designing aero-plane motors before the war, and who had offered the government his plans as late as May 1918, Judge Mack said he could see no moral scruples against non-combatant service and ordered him to do it…. Most of the objectors are segregated. 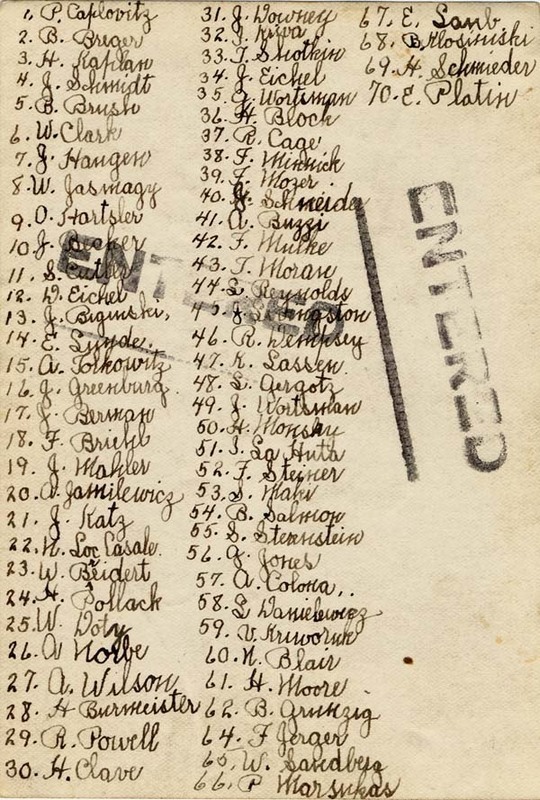 For instance, the milking gang is composed exclusively of objectors, 26 in number, 1 farm labor gang (#5) was composed entirely of objectors, 46 in number. 11 more were on other details, 6 are in the lock-step gang. All but about 15 or twenty of these objectors are members of religious sects who refused to take non-combatant service. Col. Rice says they are the best prisoners he has, and that he would hate to lose them, but he made a personal plea to the Board of Inquiry to review their case at once upon their return” (“Report on Conscientious Objection at Ft. Leavenworth, Kansas”). In a speech by Hon. Charles H. Dillon entitled in January 1919, he reported: “….18. Charles P. Larsen, artist, at Fort Leavenworth. Suffered with others the intolerable conditions at Fort Riley. Underrationed, food attacked by flies from near-by latrine used by venereally diseased soldiers. Protest punished by imprisonment in guardhouse cell in basement, dark, air foul, deprived of toilet articles, breathing sweepings, etc. Protest brought solitary confinement. 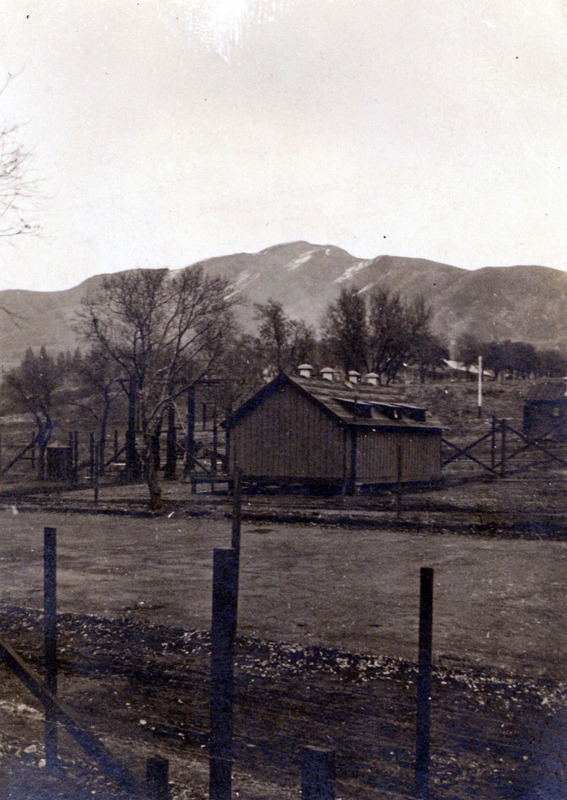 Later taken to Camp Funston and was a co-sufferer during 10-day reign of terror. 21. The so called 'mutiny' at Fort Leavenworth:… All were ordered into solitary, and Acting Warden Fletcher started after them with a bat. A prisoner, Stratton, shouted, 'Don’t do that,' for which he was beaten into unconsciousness lasting 50 hours. When Stratton spoke, the warden drew a pistol, tried to fire at him, but cartridge failed to explode. Stratton raised a stool to protect himself, and, in fear of his life, threw it at the warden. After being locked in solitary, two big brutes-Wingfield and 'Mack,' the former with a bat and the latter with a piece of pipe-were set to task of beating them. Ray and Axuara were beaten unmercifully, and two besides Stratton were unconscious for a long time. Many were handcuffed to doors, feet barely touching the floor. Hodges, Baskett, and Plahn were sick, and the prison doctor ordered mattresses, which warden later removed. On the third day they were taken down so the prison inspector should not see them” (“Introducing Examples of Brutalities, Tortures, and Deaths to Political Prisoners under Military Regime”). Reporter Winthrop Lane exposed much of the treatment to which C.O. s were subjected: “What happened on the night of April 23? Colonel Rice had previously segregated all conscientious objectors within the prison because he feared that other prisoners, or certain elements among them, would 'gang up' on the objectors, a fear the justification of which is now beside the point. In order to segregate them, he first moved to the guard-house of the Ft. Leavenworth army post some forty objectors who had persistently refused to work since entering the prison, and also a few others who had been for some time in solitary confinement. He then moved the main body of objectors, who had not refused to work, from their cells to wooden cantonment buildings within a wire stockade outside the main prison walls. This was a distinct improvement in living conditions, especially for those who had been taken from solitary confinement; for the forty who on conscientious grounds had refused to work and who had occupied one of the cantonment buildings, it was a change for the worse. The guard house is a brick building not unlike some county jails. The fifty two objectors sent there are divided into two groups of twenty-six each. Each group occupies a large wire cage, about twenty by twenty-five feet. Lavatory and toilet facilities are inadequate, and the men eat their meals inside the cage, where they spend every moment of the day and night. They are not even taken outside for exercise. There is a reasonable amount of fresh air and light. On the night of April 23 some ten or twelve of the objectors in the west cage did not go to bed when the usual order came at 9:30. They continued to walk about and talk. They made no unusual noise; they did not even sing. The prison sentry on duty ordered them twice to go to bed, but they refused. Thereupon the sentry telephoned to the officer of the guard at the prison, who confessed impotence. It so happened, however, that another officer, Capt. C. W. Jones, the officer of the day at the army post, who has no connection with the prison and therefore no jurisdiction over these particular prisoners, overheard the sentry’s end of the telephone conversation. Captain Jones took matters into his own hands. Colonel Rice was in Washington. Without consulting a superior, Captain Jones went to the west cage and personally ordered the recalcitrant to go to bed. He says they answered him in a “defiant and disrespectful” manner. Thereupon he ordered a small garden hose turned upon them. The water failed to send the prisoners to bed. Captain Jones then called out the post fire department. He ordered the fire hose to be attached to the regular hydrant and the nozzle inserted through the wire of the cage. The water was turned on with such power that two men were required to hold the nozzle. Both Captain Jones and the man in command at the nozzle say that the stream was played against the ceiling, and that the only time it could have come into direct contact with the bodies of the prisoners was when the nozzle was inserted or withdrawn. The prisoners claim that the water was played directly upon them. Several say that they were knocked down from their bunks by its force. One man is pictured by them as sitting on the floor, in a hysterical condition, with the water banging his head from side to side. The officer of the day is declared to have shouted, 'Give them plenty.' A guard said, 'They’ve been asking for a bath; now they’ll get it.' There is no denial that the clothing and bed clothes of every one of the prisoners were thoroughly drenched whether he had been sleeping peacefully and obeying orders or not. There is no denial that the men were left in this condition throughout the night. Their mattresses were still wet the next day. While none of them is believed to have received any permanent injury, several contracted colds and one man had inflamed tonsils the next morning. Colonel Rice returned from Washington the morning of April 30, and I chanced to arrive at the barracks the same day. A board of three officers had already been appointed to investigate the affair…..When I left Ft. Leavenworth on May 5 the board had just reached its findings and it was thought that Captain Jones might be courtmartialed….The disciplinary barracks is in some part a training school for men who are to be restored to the army. It is also a place of confinement for soldiers who have committed every stage of statutory crime. What place in such an institution have men who refuse to admit that they have done anything but follow their consciences to the logical and bitter end? The War Department has shown greater wisdom in its handling of enemy aliens than of conscientious objectors. These, like they, ought to be segregated and kept where they will do no harm- at least until the war is over and their power to do harm has passed. But there are plenty of places where the government can send them besides a military prison. They could be sent to any one of a number of army posts and kept by themselves. The War Department would not be the smallest gainer by this arrangement. When will it take this obvious and necessary step?” (“Military Prisons and the C.O.” by Winthrop D. Lane in The Survey on May 17, 1919). After being in solitary confinement, these absolutist C.O.s were transferred to the post guardhouse, and later to barracks inside a stockade where they could have books and writing material. They were allowed to exercise in the open air, and the food was decent. Many of the religious objectors, particularly those who had agreed to work while in prison, were released shortly after Christmas 1918. Those still imprisoned were mostly left alone until April 23, 1919, when guards turned garden hoses on the C.O.s and their cell/s until all were drenched. When this incident became known, the nearly 100 C.O.s were transferred to the sixth-wing basement of the prison, which they had all to themselves. 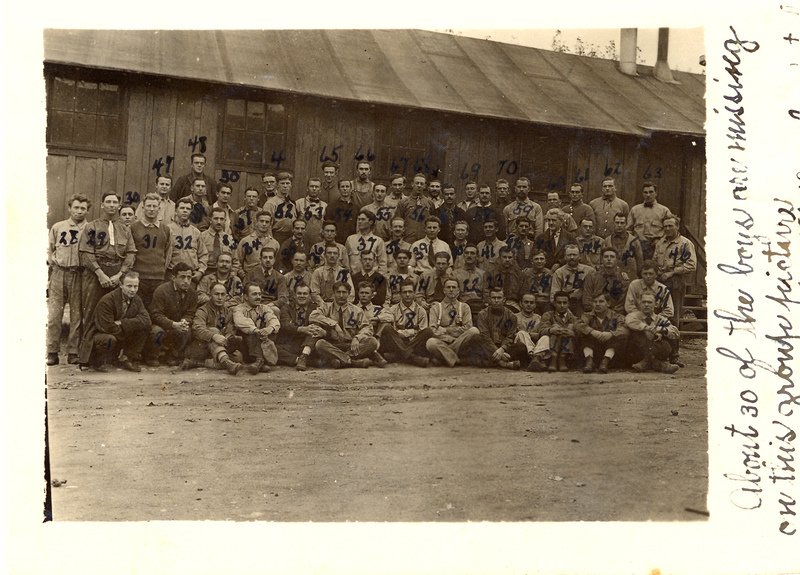 This lasted until June ___, 1919 when 150 or so or the remaining C.O.s were sent to the Fort Douglas military prison.